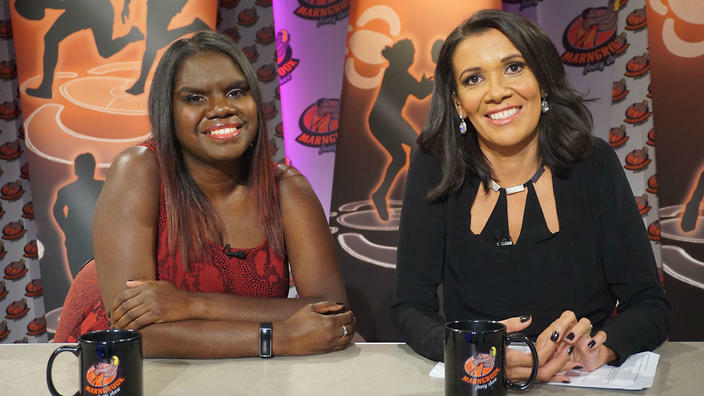 Teacher by day, media personality by night, Shelley Ware is host on the Marngrook Footy Show. As part of Kids Fest, Shelley provided tickets to a taping of the show, and some Year 5 boys were the lucky recipients. 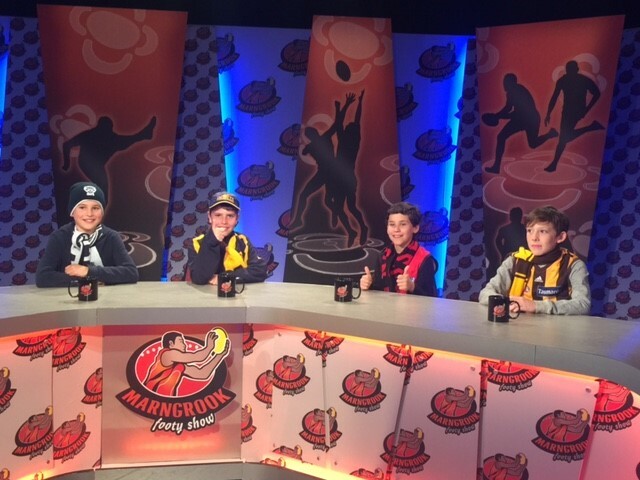 Damon tells us about the evening – On September 1st, four Kew Primary Year 5 students (Damon, Ole, Jack R. and Jack H.) went to the Mangrook Footy Show. With our own Shelley Ware co-hosting it was a great night. The show was an all girls panel and was a great way of promoting female footy. Women’s AFL superstars Abbie Holmes, Katie Brennan and Lauren Arnell on the panel really kicked the show into the next gear. It’s the best show ever so everyone should try to get tickets. This entry was posted in Events, Staff and tagged Indigenous football by Kate W. Bookmark the permalink.